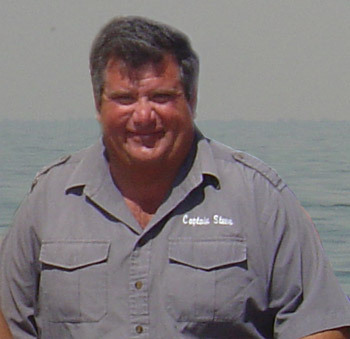 Captain Steve and his mates, Pauline and Art, strive to provide a "Quality Sportfishing Experience." MI-HI Charters is licensed, inspected and insured service that offers a safe, fun and productive fishing experience on the Great Lakes. Every year, Steve attends the Outdoorama in Novi, MI as a chance to meet both clients and perspective clients outside of the fishing season. If you would like to meet Steve, this is a great time to talk fishing with him. See you on the water.